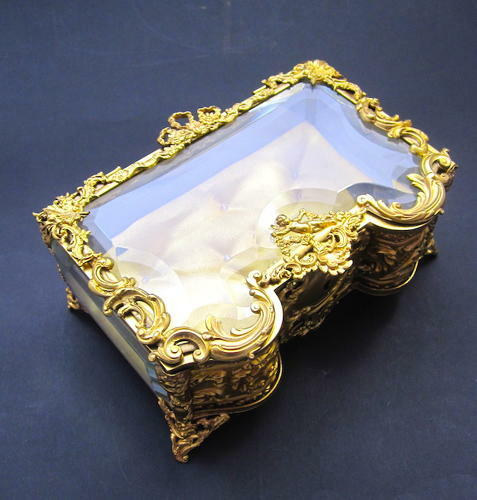 Antique French Napoleon III Dore Bronze and Crystal Jewellery Casket with Silk Interior. Flowers, Classical Wreaths, and a Central Bow Decorates the Top of the Lid and a Pretty Cherub Decorates the Bottom of the Lid. The Front, Back and Side Panels Decorated with Very Finely Engraved Rococo Designs.